Wow! Now that's a great capture. Well done. 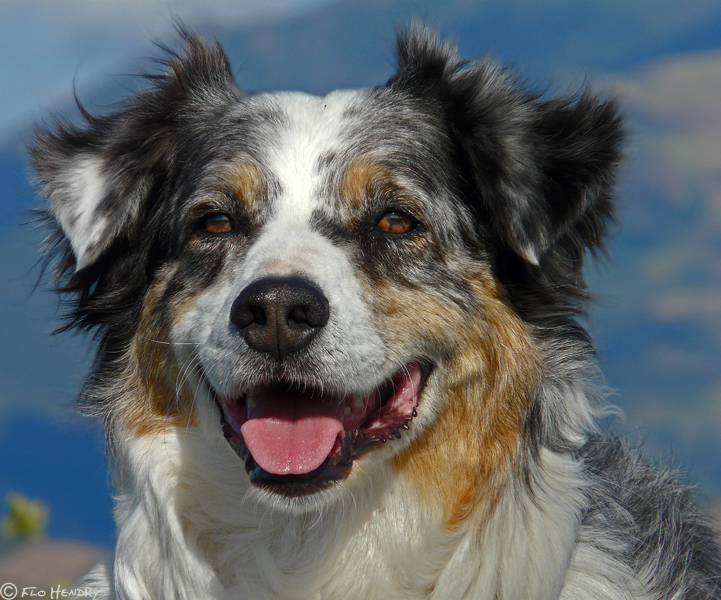 Splendid portrait of this beautiful Aussie Shepherd. Wonderful portrait with excellent exposure work resulting in beautiful details! Lovely portrait. The owners must have loved this one. What a wonderful portrait Flo, beautiful dog!! V! That's one good looking dog. Beautifully done portrait, Flo! Super color and expression. What a beauty - both dog and photo! What a lovely lovely portrait! A complex lighting situation with sun and shadows and darks and lights on Jamie. So much character in this sweet face! Gorgeous portrait! There are so many Aussies in need of forever homes; blessings to the person that brought this one home. He reminds me of an america actor, just can't remeber his name right now. Beautiful dog, great background. Nice shot!